Department of Electronic Engineering, Superior Technical School of Engineering, University of Valencia, Valencia, Spain. municate the people in these places where cables cannot. 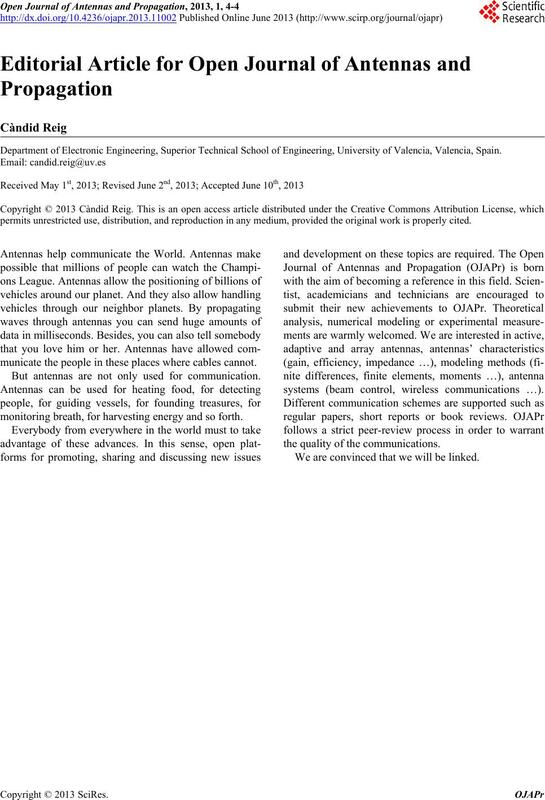 But antennas are not only used for communication. monitoring breath, for harvesting energy and so forth. systems (beam control, wireless communications …). the quality of the communications. We are convinced that we will be linked.